Home LISTEN! SWTOR Escape Pod Cast 79 – Temple of Doom! SWTOR Escape Pod Cast 79 – Temple of Doom! This week @AIESema, @MaxTheGrey and Astromech EPC-79 talk about the second operation in the Shadow of Revan expansion, which we call Temple of Doom! (Temple of Sacrifice) We review the progress we’ve made and talk about each of the bosses and the challenges and fun parts of the operation. 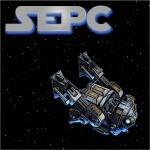 Finally, we cover news for the week from SWTOR in general and from our guild, Alea Iacta Est.